Paramedical courses, A Career in which you are proud every day and never repent on being part of it then here you are! First of all, by this article, we introduce you all, the concept of paramedical and how this sector become the best career option nowadays. If you have any doubts or questions regarding paramedical you can check our faq’s at last of the article or can ask your questions below. We at Vidhyaa understand the requirements of the students and have written this article where we have included every top to toe details related to this field. 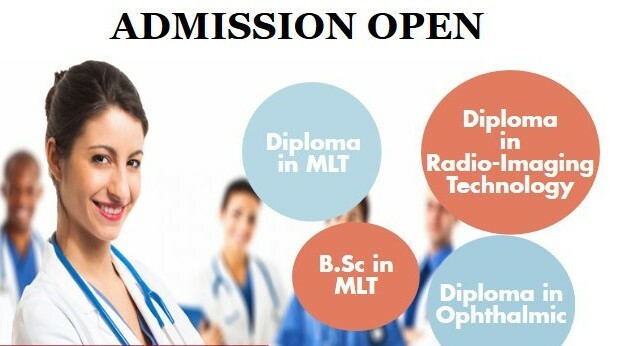 We have added information about the list of paramedical courses after 12th, top paramedical colleges, their admission process and scope of a paramedical sector in India. Get all the rich content below. The admission may be followed by the interview (vary college to college) or counseling. Candidates must meet the eligibility criteria of the program. Students must fill the examination form before the deadline. Candidates can register themselves online and offline by downloading from (depending on college to college). Para Medical Jobs are one of the toughest jobs in the country. Not all can take up the courage to take provide clinical services to the patients under the supervision of a physician. Generally paramedical jobs include positions like nurses, therapists, technicians, lab technicians and all those people who assist the physician in some or the other way. Pay Scale may vary with the post of the candidate. Below is pay scale for various jobs in Paramedical Field.